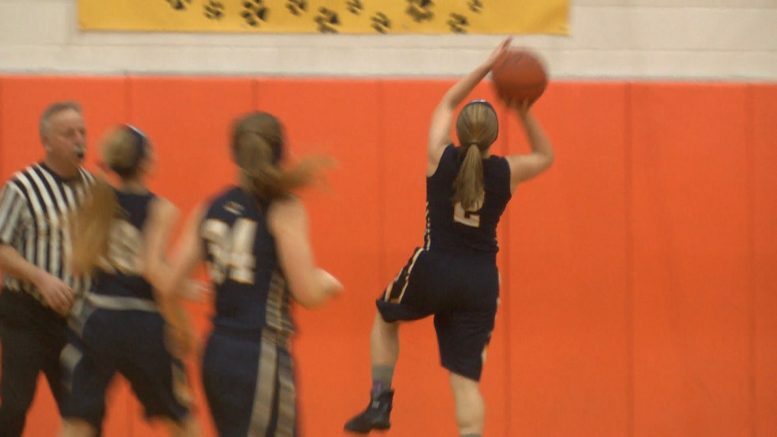 Hillman, Mich — Hillman hosted Alcona for a non-conference battle of the Tigers girls basketball game. Hillman got off to a hot 8-1 start. Alcona senior Hailee Gordy knocked down a triple to help jump-start a comeback, but Hillman senior Brooke Jones’ clutch buckets gave the Tigers the 13-10 lead. Tigers’ eventually took over the lead for Alcona with a few key buckets by junior Megan Grove, and the back and forth battle continued throughout the entire game. Alcona came up with the 49-44 win improving to a (7-4) overall record. Hillman was led by Bailey Schook with 16 points and Jones’ 12 points. Alcona’s Grove put up 12 points. Up next, Alcona hosts Hale on Monday at 7:30 p.m. and Hillman is on the road in Mio at 7 p.m.